The partnership aims to accelerate research into effective NTD treatments. 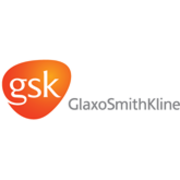 In September 2013, GlaxoSmithKline (GSK) and Drugs for Neglected Diseases Initiative (DNDi) signed a two-year extension, with the possibility of an additional third year, of their current research collaboration agreement to develop new therapeutics for Leishmaniasis, Human African Trypanosomiasis and Chagas disease. Patients urgently need better treatments as the existing ones are not suitable due to the emergence of parasite resistance, their severe side effects and toxicity, costs or non-suitable routes of administration. Under the terms of the agreement, DNDi and GSK will jointly exploit hits identified through GSK’s internal high throughput screening efforts vs. Leishmania donovani, Trypanosoma cruzi and Trypanosoma brucei. DNDi will contribute with up to 12 chemistry FTEs from their own consortia in addition to the 2 matching FTEs at Tres Cantos. The scope of the agreement has been expanded to the identification of preclinical activities and will include testing of identified hit(s) in the corresponding animal models in order to evaluate their in vivo efficacy and further progression of efficacious compounds in Lead Optimization programs. The partners will facilitate publication of the results to ensure access to the wider community of researchers focusing on NTDs. The public sector will benefit from the drugs developed through this agreement under the best possible conditions to ease access for patients in all endemic countries, irrespective of their level of economic development. The London School of Hygiene & Tropical Medicine (LSHTM) is renowned for its research, postgraduate studies and continuing education in public and global health. Founded in 1899 at the London Docks, LSHTM is now based in Bloomsbury, where it has two main sites at Keppel Street and Tavistock Place. Today, our staff, students and alumni work in government, academia, international agencies and health services across the world. Learn more about the history of the LSHTM. Research income has grown to more than £180 million per year from national and international funding sources including UK government and research councils, the European Union, the Wellcome Trust, Gates Foundation and other philanthropic sources. Our diverse research talents, skills and experience, underpin our position as a leader in public and global health. These range from the molecular to the global, the theoretical to the applied, the analytical to the political. Our staff are conducting research in more than 100 countries. We have 3,000 staff based all around the world with core hubs in London and at the MRC Units in The Gambia and Uganda, which joined LSHTM in February 2018. Our outstanding, diverse and committed staff make an impact where it is most needed - deploying research in real time in response to crises, developing innovative programmes for major health threats, or training the next generations of public and global health leaders and researchers. Working in partnership is central to achieving our mission. Our strategic collaborations in the UK and across high-, middle- and low-income countries deliver health and socioeconomic benefits across the world, especially in the most disadvantaged communities. LSHTM is also a member of the M8 Alliance of Academic Health Centers, Universities and National Academies, the Association of Schools of Public Health in the European Region, and the Consortium of Universities for Global Health. We deliver research-led educational programmes to future health leaders, managers and researchers across the world. We have more than 1,000 face-to-face Master's and Doctoral students, 3,000 studying by distance learning, and 1,000 each year on short courses and continuous professional development. Our free online courses are studied by more than 55,000 participants globally. LSHTM performs strongly in various global university league tables. In the 2018 Shanghai World Ranking we placed 151-200 overall, and ranked 3rd in public health, 40th in clinical medicine, and 76th in human biology. In the US News Best Global Universities Ranking 2019, we ranked ninth in the UK overall and 13th in the world in the fields of social sciences and public health. We ranked 27th for medicine in the 2019 QS World University Rankings. LSHTM was named University of the Year 2016 by Times Higher Education and awarded a Queen's Anniversary Prize for Higher and Further Education in 2017 in recognition of our response to the 2014 Ebola epidemic in West Africa. (LSHTM does not appear in the Times Higher Education World University Rankings as universities are excluded if they do not teach undergraduates). We seek to foster and sustain a creative and supportive working environment based upon an ethos of respect and rigorous scientific enquiry. We embrace and value the diversity of our staff and student population and seek to promote equality as an essential element in contribution to improving health worldwide. LSHTM is one of around 20 specialist institutions that receive institution specific funding from the Office for Students (OfS). This funding recognises the additional costs that LSHTM incurs because of its unique range of teaching, specialist facilities, and the scale of its contributions to national and international agencies.